The UK is home to outstanding academic institutions. As a result, students come from far and wide to get a taste of UK student life. 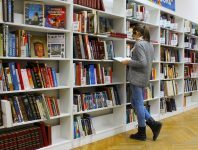 There is a very particular culture around being a student in the UK, and for international students who are not used to the way that higher education works here, it can be a difficult task to settle into proper learning habits. You might be a fluent English speaker or you might not be. Either way, lectures and seminars are fast-paced learning environments where you have to keep up with what the tutor is telling you, and you have to take your learning into your own hands. Your tutors are there to make sure that every student understands the concepts that they are learning about. Unless you are taking a specialist course, it is likely that the tutors will be teaching the content to many other students; because of this, the tutors will cover topics quickly and will expect you to absorb the information just as quickly. Nonetheless, the tutors are still dedicated to helping you pass your degree, and are there to answer any questions you have. If there is something that you don’t understand, ask questions until you have a clear understanding of the topic. Tutors will often have set office hours where you can go and see them to discuss any issues or gaps in your knowledge – make use of this time. Either before you start your course or on your first day, your tutors will give you a list of textbooks that you should go out and buy (and, of course, read). They recommend this reading because it will enrich your knowledge of the course content and it will help you gain a better understanding of the topics that you study. After your opening lectures, head to the library and borrow these textbooks, because they will become useful resources for you. Reading the relevant sections ahead of lectures will give you an advanced understanding of the points being taught, and will therefore help you to follow what the tutor is saying more clearly than you would without prior knowledge. UK universities accept applications from thousands of international students each year, so when it comes to studying your course, you won’t be alone. There will be other students in the same situation as you, and you are in a great position to help each other out. University libraries have group-study rooms that you can book at particular times of the day. If you and your friends allocate time once per week to get together and discuss the lectures from the week before, you will find that you can fill the gaps in each other’s knowledge. Voice Notes: Sometimes lecturers can talk through topics quickly, making it a little bit difficult to keep up. Recording the lecture on your smartphone means that you can revisit the lecture at a later date and listen to it at your own pace. Available from Apple and Google Play. Google Translate: If your lecturer uses a word that you don’t understand, you can write it (or speak it) into the Google Translate app and it will translate the word to a language that you understand. Available from Apple and Google Play. Duolingo: When you’re tired of using Google Translate, you can use this app to teach yourself how to speak English as a second language. It breaks the language elements down into easy-to-follow steps so that it’s not too overwhelming. Available from the Duolingo website. During your time at university, you’ll be meeting new people, experiencing a new culture, and learning new things every day, so make sure that you take the time to appreciate it while it lasts. It’s hard work, but it will pay off in the end! Make sure you ask plenty of questions when you’re in class, especially if English is not your first language. It’s important that you take in the right information, and if you need your tutors to clarify any concepts for you, don’t hesitate to ask. Even if you think that the question might be worth asking, you should still get your tutor to explain it to you in terms that make sense to you. Asking the right questions will help you to understand topics when you to come to study for your exams. If you don’t understand a topic and don’t ask, you may find that you have to teach yourself the concepts, which may then have an impact on how you manage your revision time. Sometimes it is better to study alone, because you can put real thought into the work that you are doing. One negative to working on your own is that when you encounter a difficult concept which you struggle to understand, you have nobody to ask for help. A solution to this problem is to study with friends. If you revise with other people, they will be able to help you fill any gaps in your knowledge, while you will help them by explaining any concepts that you already understand. Working collaboratively with other people is a great way to quickly develop your understanding of a topic, so it is worth booking out a private study-space in your university or college library and getting together for a study session. Practice makes perfect, so once you feel like you fully understand a topic, it will be time to put your knowledge to the test. Make use of the resources that your university or college has on offer, especially past exam papers and example answers from previous assignments. Find out from your tutor how long your examinations will last for, and recreate exam conditions when you test yourself. Working in this way will get you used to the atmosphere of the exam hall, which means that when the actual test comes around, you will be able to perform to the best of your ability. Once you have tested yourself, take the time to mark your own work, and use this to find any gaps in your knowledge which you can then work on before your actual exam. When you have settled into your course and have a good understanding of the syllabus (the topics you will be learning), start planning how you are going to study throughout the year. Make sure that you give yourself plenty of time to absorb all of the information that you are being taught. The best way to retain new information is to dedicate an hour or so each evening to revising what you have learnt throughout the day. When you do this, you should put it into your own words, because this will help to improve your understanding of any confusing concepts. This will be crucial closer to exam season, because you will not be attempting to learn new things – it will just be a case of refreshing your memory. If you need extra help with your studies, you can make use of some of the amazing smartphone apps that are available. There is genuinely an app for everything, so if you can pinpoint what it is that you struggle with, you will be able to find an app to help you. If you have difficulty with taking in information, you can use apps like Soundnote to record your lectures, which will help you with your revision, because you can play the lecture back at a slower pace. You should check with your lecturer first to make sure they are happy to be recorded in this way. If you struggle planning your time, you can use apps like Class Timetable to plan your time effectively. It’s just a case of finding the right app for you. It can be a challenge trying to learn in a new environment, but with careful planning and hard work, you can be capable of exam success in no time! Once you have secured your place at university in the UK, it is time to start thinking about your accommodation options. It may seem like a daunting task, but if you follow our advice, you will find the accommodation you need. When you are thinking about the type of accommodation you want to rent, consider the following points: does the accommodation provider offer property management or security? Is there an en-suite bathroom or will the bathroom facilities be shared? Is there a good communal space? Will there be a good mix of students to socialise with? Location is a very important thing to consider when choosing your accommodation. Use a map to check that you are within easy walking distance of your lecture rooms. Does Google Maps show that you are within walking distance of your lectures? If this is not the case, it is important to look into methods and cost of transport to the campus. Try to find out about the average cost of a bus fare to the campus. Many transport companies offer seasonal ticket deals for university students. It is very important to consider your budget when you study abroad. There are costs that you may not think about initially. For example, if you are not a full-time student you may have to pay some Council Tax. You should also consider the cost of insuring your items abroad, whether your bills are included in your rent, and if you will need to pay for any new furniture. When you enter into a contract it is legally binding so take care to read it in full. For example, if you sign a joint contract and one tenant drops out, the remaining tenants will often be liable for the rent due. It is important to be aware of these details. Once you have chosen your accommodation, get in touch with your university if you have decided to go into halls of residence. If you have chosen to rent private accommodation, contact your future landlord or letting agent to secure your new place. If you are an international student looking for accommodation in the UK and are unsure about the next step to take, you can browse the nationwide accommodation options from The Student Housing Company. This month’s blog post considers some of the different ways you can expect to be taught during your studies in the UK. Traditional ways of being taught on a university course in the UK include through a mixture of lectures, seminars, tutorials and possibly workshops, depending on your discipline area. Some of these may be unfamiliar to international students, especially if they have been taught in a different way in their home countries. Even a teaching method such as a ‘lecture’ may be delivered differently in different academic cultures, so it is important to know what you should expect as a student coming to study in the UK. For a basic introduction to these four ways of teaching have a look at Ways of being taught on your course first. Lectures generally last between 30 to 50 minutes and traditionally involve students in listening and note-taking. The lecturer may use visual aids (usually presentation slides) whilst speaking. These, along with a recording of the lecture, may or may not be available afterwards for you to refer to. It is useful to take notes, even if they are available, to add to your understanding. You may find that some of your lectures in the UK are quite interactive. There will usually be an opportunity for one or two questions from the audience at the end but some lecturers also use other polling devices to engage students in the topic – these allow the student audience to participate more actively, by thinking and voting on issues or predicting the outcomes of research mentioned during the lecture itself. Some lecturers might even ask you to watch a pre-recorded lecture and then use a seminar for discussion of the key points or extension activities to deepen your understanding. Seminars are a typical way of teaching found in most UK universities. Usually groups of up to 20 students discuss an academic paper, a presentation or a topic with their tutor. It is expected that students speak as well as the tutor, and it is an opportunity to develop your critical thinking skills as well as to explore different opinions or perspectives on a topic. Small group tutorials may also serve some of these functions. A tutorial in many universities involves a one-to-one meeting with your tutor. The meeting might typically focus on your academic progress, feedback for an assignment or negotiation of an assignment or dissertation topic if you are a postgraduate student. In science and applied science, lab sessions and workshops often take the place of seminars and these may involve following a practical set of instructions or carrying out an experiment. Lastly, blended learning practices can now be found embedded across UK universities. Although much of your course will probably take place in a face-to-face context, you may also find that part of it is delivered or undertaken online. You will be expected to use a range of technologies, not only to support your independent learning but also possibly to receive some of your teaching. Technology is likely to have an impact at all levels of your study, from contacting your tutor (by email) to even doing part of a taught module online with other students. This week’s blogpost is in answer to a student who is finding lectures on their course hard to understand. Listening to and understanding an academic lecture in a second language can be challenging. Making notes on the lecture topic at the same time can make it doubly difficult. 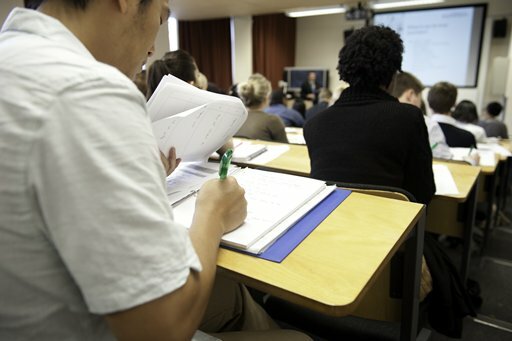 If you are a new international student still struggling to get the most out of the lectures on your course, here are some tips which may help you. If the lecturer uses Powerpoint slides or other visual aids while giving their lecture see if these are available before or after the lecture on a website or course VLE. They will provide a structure for what he or she talks about and can help with your understanding during the lecture or afterwards when you are trying to build up the notes you have made. If you are worried about your understanding of the main points in the lecture, can’t catch everything the speaker says or wish you could listen to it again, ask the lecturer beforehand if they would mind if you recorded them. Many lecturers will be happy to let you use a small recording device provided that you ask permission beforehand and that it is only for your own private use. If you found a lecture challenging to understand, afterwards get together with another student who attended the lecture and compare your understanding and any notes you have made. In this way you can each help each other to understand more. If you feel you need help with listening to lectures, use the Prepare for Success learning resource ‘Listening to lectures‘. You may find this section of Andy Gillet’s website useful: Listening comprehension and note-taking. And don’t worry, listening is one of the skills that improves fastest for international students after arriving in the UK.